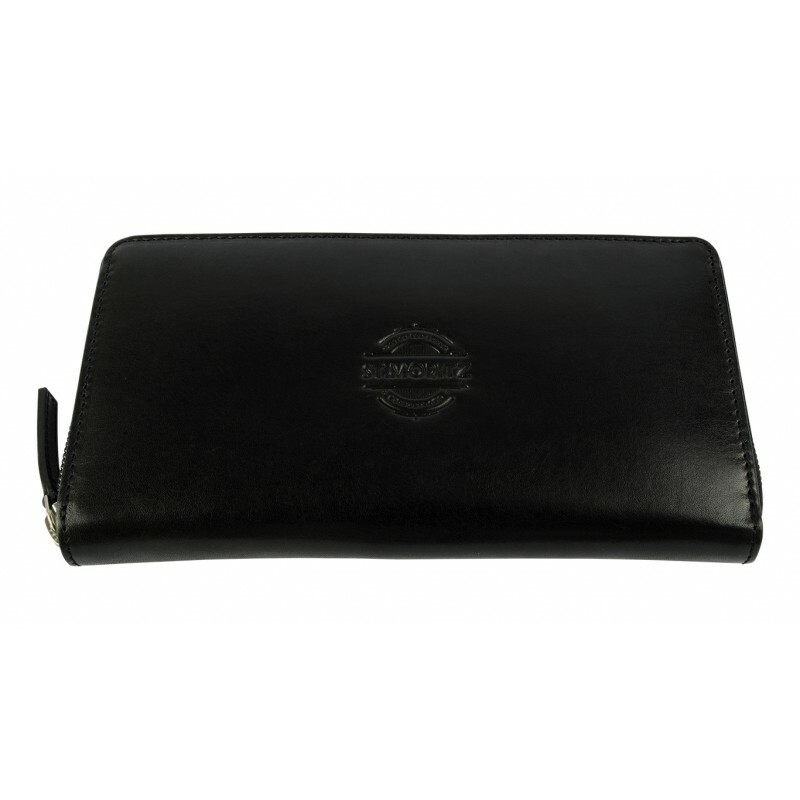 Black fold-out purse with zip fastener, by St. Moritz Leather. 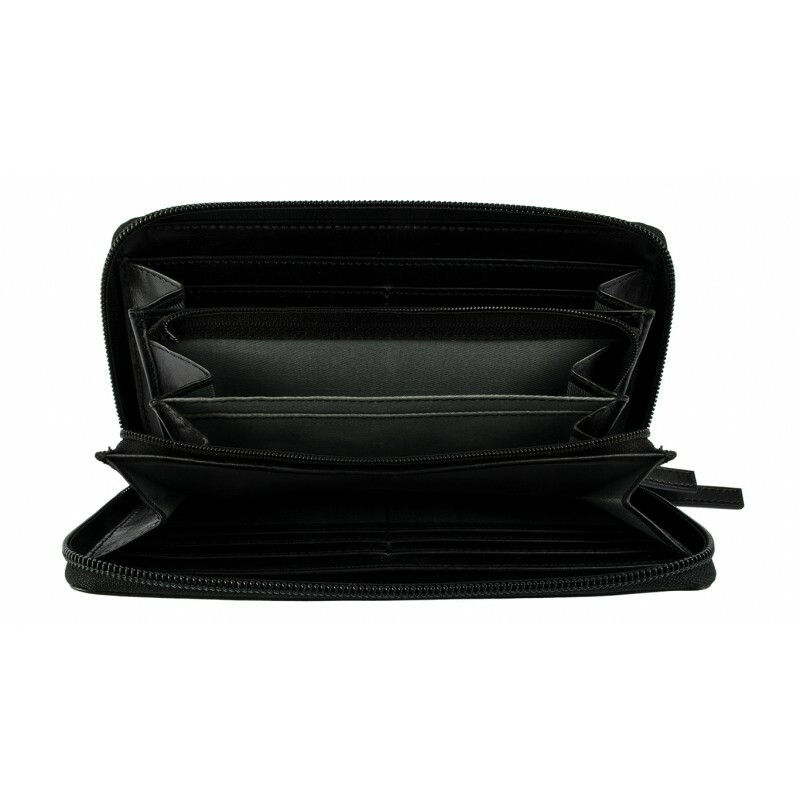 Coin pocket with zip fastener, two banknote compartments, and credit card compartments. Direct delivery from the supplier swiss trends GmbH. St. Moritz Leather accessories are officially licensed St. Moritz products made of first-class leather in Swiss design to the highest quality.